The PeeWee Pandas program was designed by SaBuNim Sarah and is meant for children as soon as they can walk. This group of infant/toddlers will work on balance and coordination. Our youngest students begin to work on color and shape recognition and counting. Listening skills, familiarization with our equipment, and the core values of respect are also taught. The belt requirements for this age group focus more on progress, vocabulary building and (forgive the pun) baby steps! 30 minute class. The Little Dragons program is designed for children within the preschool age 2.9 – 5 years old. We focus on the core principles of respect, discipline, honesty, courtesy and integrity. 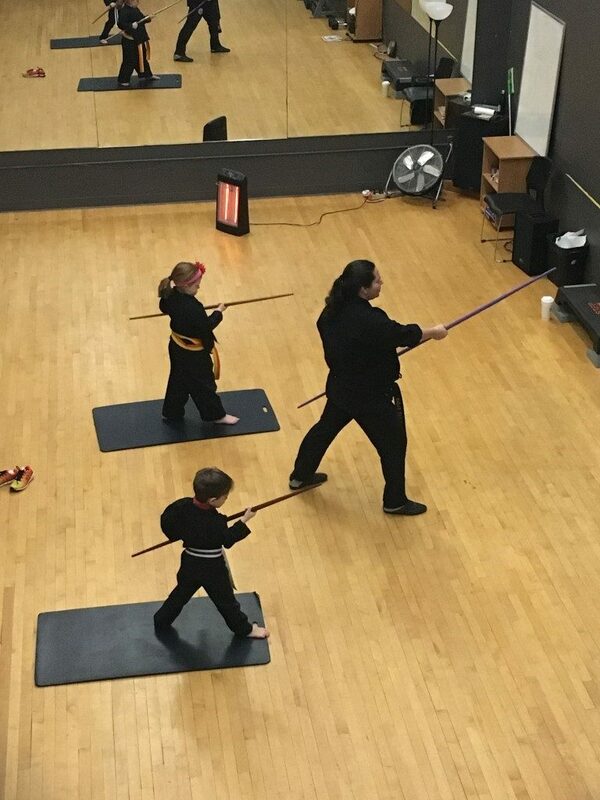 The basics of balance, coordination, cooperation, kicking, punching and blocking are taught as well as some basic life skills; stranger awareness, fire safety, out and about safety, bike safety, etc. This program is a great complement to any preschool education that a child may be getting or a great prelude to any early childhood education. At the rank of Orange Belt the opportunity to join our Dragons Club is presented. 30 minute class. This program is for students aged 6 – 8 years old. All ranks train together from novice White Belt through Tiny Tiger Gold Belt. 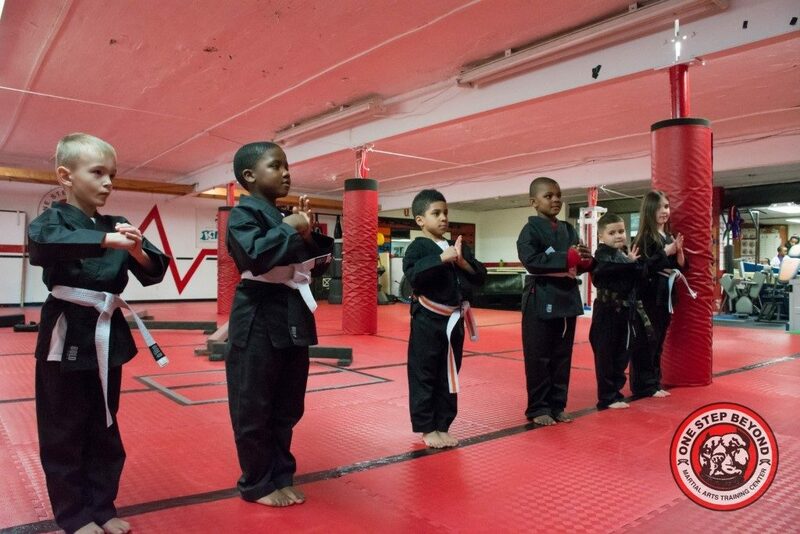 Gold Belts can be promoted to our Junior Beginner Program at the rank of full yellow Belt. The emphasis in these classes is put on self control, self discipline, and our core values of respect, honesty, courtesy and perseverance. We introduce basic techniques as well as general life skills such as fire, home an school safety drills. At the rank of Orange Belt the opportunity to our Tiger Club is presented. 45 minute class. This program is for students 8 – 12 years old. 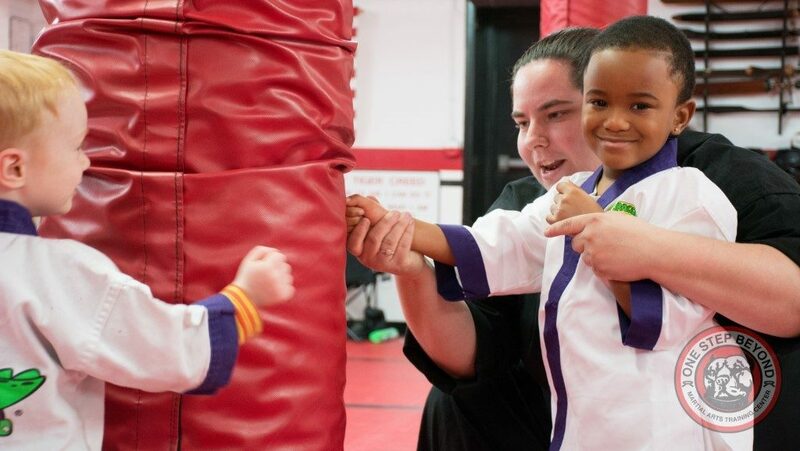 Our goal in these classes is to introduce our new students to our core values of respect, honesty, courtesy and perseverance all while learning the basic techniques of martial arts and improving their general physical fitness level. 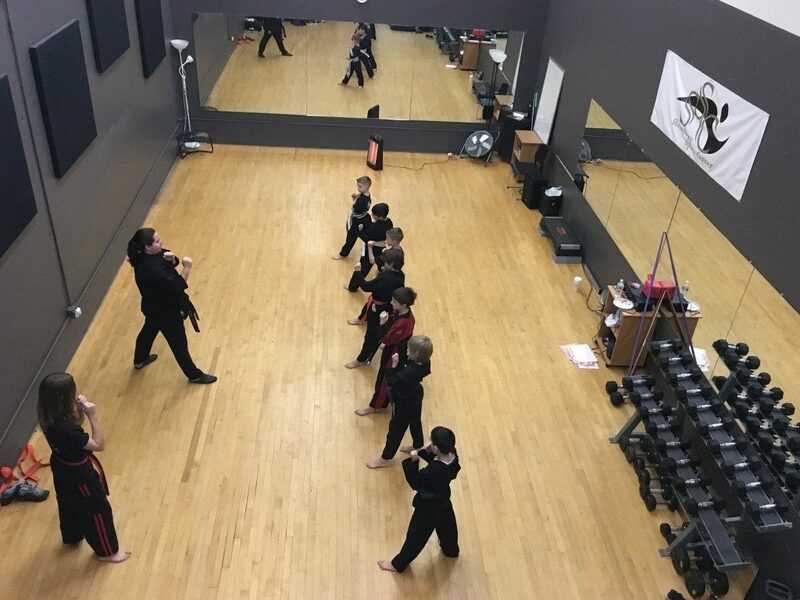 Our goal for the upper belt students is to emphasize confidence building with our sparring drills and to expand the student’s knowledge of martial arts techniques and their self defense applications. At the rank of Orange Belt the opportunity to join our Black Belt Club is presented. 45 minute class. These classes are for 13 years old and up. Students of all ranks from White Belt to Black Belt train together. We find the combination of teen energy and adult maturity a great formula for exciting and energizing classes. The mixture of belt ranks also allows a novice White Belt to be paired with an upper level belt so they can acquire the tools needed for improved confidence and self defense as quickly as possible. 60 minute class. For students already enrolled in Karate classes. All ranks and all ages who are interested in exploring the sport of Competitive Sport Karate can register for this class. Students will work towards competing in local competitions as a team. *Competition equipment and uniform fees not included. 45 minute class. This is for our members who are dedicated to achieving their Black Belt. Membership in our Club classes requires the minimum rank of Orange Belt but more importantly a desire to become a leader within our school as well as in the community. 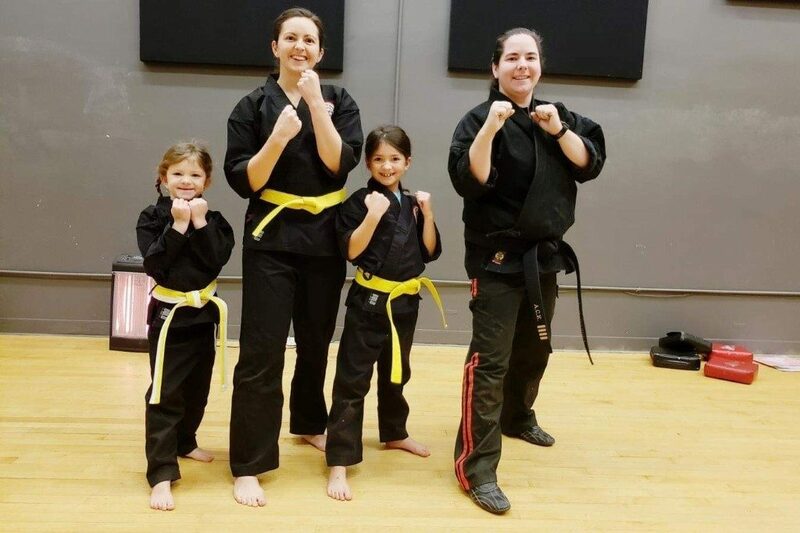 This club is for those wishing to learn martial arts weaponry and techniques outside of our basic curriculum to enhance their martial arts experience. These club members are also invited to assist in teaching classes as well as perform in demonstrations and special events that highlight our program. 45 minute class. This class combines elements from martial arts and gymnastics, with an emphasis on showmanship to help take your training to the next level! 60 minute class. The Senior Approach to Maintaining Agility: This class is designed for the more mature in age student who wishes to focus more on staying active versus a more traditional martial arts class. 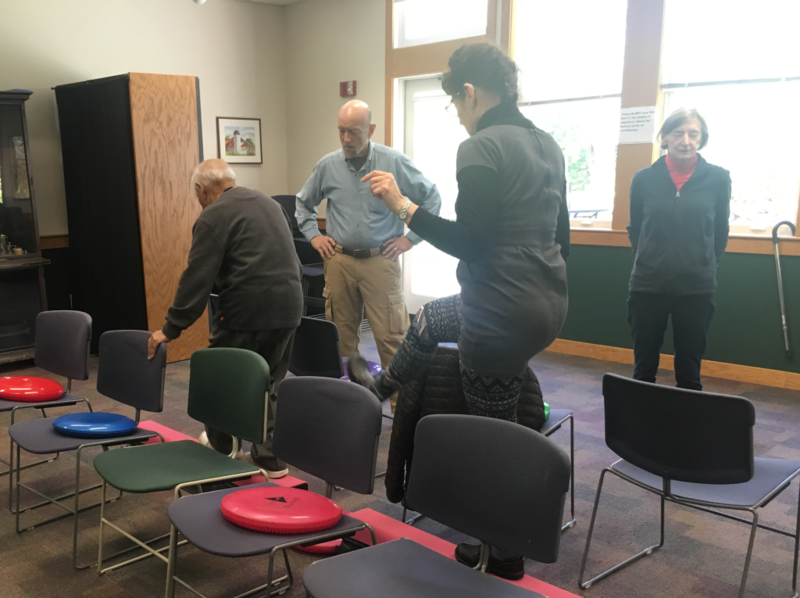 This class does have its roots in the martial arts and self defense area, however we will focus more on maintaining balance and agility to help avoid those dreaded falls later in life. The main focus is to do what you can, don’t do what you can’t but push the limits to see what you CAN do. This program was featured on FOX25 and Chronicle! 60 minute class. These classes are designed for those wanting to just focus on street self defense and situational self defense. During these classes we will focus on Risk Awareness, Risk Reduction, as well as physical defense techniques. This 8 week program will help Ladies gain more self confidence and theempowerment to help themselves avoid or get out of bad situations. Ages 18 and up (16 with a participating adult woman) minimum of 6 enrolled for the class to run. Stay up to date with the latest information, events and activities.